On Thursday July 12th 1962, the Rolling Stones went on stage at the Marquee Club in London's Oxford Street for their first ever gig, six months before Bill and Charlie joined the band. A week earlier Mick had been interviewed by a music paper and was quoted as saying, "I hope they don't think we're a rock 'n' roll outfit". In the intervening fifty years they have performed live in front of more people than any band in history. They've had No.1 singles and albums in every country that has a popular music chart and have become icons of popular culture. Mick Jagger is acknowledged as the greatest front man ever, he has defined what it means to be the singer with a rock band, a blues band or any other kind of band, during his career. Keith Richards is, quite simply, the quintessential guitarist; one who is recognised as having created his own, unique, art form. Mick and Keith have written some of the most recognizable rock anthems of the last fifty years. Songs that are the staple of every covers band in the world; songs that have been performed by just about everyone who has ever sung or played in a band. And behind them, laying down that rock steady beat, is the coolest, the most suave, and the most debonair man in rock. Charlie Watts, the jazz loving, drummer that every other drummer looks up to has been at the heart of the band since he joined in January 1963. He's resigned after every tour since 1969 and as the recent gigs in London and New York on the '50 and Counting' tour have shown, he's still there; still doing what he does better than anyone. More recently, getting on for forty years ago, Ronnie Wood joined the Stones to become the prefect musical foil for Keith. Guitarist or painter? Both apply equally to Ronnie, yet he's not allowed one to dominate - happy to concentrate fully on the one that he's working on at any particular time. Disarmingly self-effacing about his talent and he has been called 'the ultimate sideman', yet his gift as a guitar player, especially on slide guitar or the notoriously difficult lap-steel guitar, place him well above the status of a mere sideman. Having been around for so long, it inevitably means that the Rolling Stones have had a number of distinct phases in their career. In the early years from 1963-67 they were very much a band that recorded singles aimed at the charts, but all the while they never lost touch with the Blues that inspired them. From 1968-78 they became the quintessential rock band, crafting albums that helped create tours and they went from filling theatres to filling stadiums. In the years since 1978 their tours have sent the benchmark for rock. They lavish stage sets are works of art in themselves and their shows are as exciting as they have ever been. They are The Rolling Stones - They are 'The Greatest Rock and Roll Band in the World'. The first thing you notice, even before listening to the music, is an album with no title, nor the name of the band – just a photograph. That’s confidence! But at this point there was no other band in Britain that it could be. Everyone else conformed to the stereotype of groups wearing suits, but not the Stones. 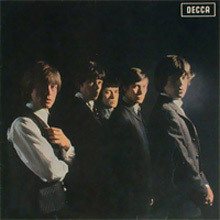 Of the twelve tracks, nine are covers, there’s one original by Mick and Keith, and two group compositions (including one with a little help from Phil Spector). Recorded at Regent Sound in London it’s as close as you can get to a live album, but in a studio setting. There’s not a U.K. hit single to be heard, although Mick and Keith’s 'Tell Me (You’re Coming Back To Me)' became the second U.S. single, making No.24 on the Billboard chart as well as their first ever composition to appear as a Stones single – there would be a few more... It spent a week shy of a year on the British album charts, three months of which were at No.1. Released in the late summer of 2005 it had been eight years since 'Bridges to Babylon' - the longest wait for a studio album in the band’s career. It is reminiscent of earlier, rootsier albums and a departure from the big sounding, more heavily produced albums of the last two decades. It featured the lead off anthemic single, 'Streets of Love' backed by 'Rough Justice' that made No.15 in the U.K. singles chart. The album went to No.1 in Germany for 2 weeks, going Platinum in the process, and also topped the charts in Italy, Argentina, Netherlands, Switzerland, Sweden, Denmark, Canada and Austria. It made No.2 in the U.K. and No.3 in Ameica where it spent four and a half months on the charts. One reason for its stripped down feel is that there are comparatively few musicians on the album. Besides the band, Daryl Jones plays bass on some tracks and Chuck Leavell is featured on keyboards along with Matt Clifford, the other keyboard from the touring band, who plays on a couple of tracks. To support the album the band embarked on its biggest tour ever, it was spread over a period of 735 days, visiting 32 countries, 118 cities, in which they played 147 concerts to over 4.5 million people … and that’s not including the two million people who watched them play on Copacabana Beach, in Rio de Janeiro. 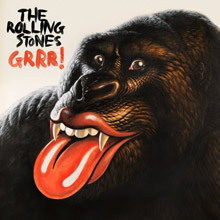 The release of ‘Grrr!’, the 50th anniversary collection, takes a unique look at their career; unique because the music is selected by the band to tell their amazing story through music that spans their entire career. The Super deluxe set tells the story of fifty amazing years through eighty standout tracks. From their high octane version of Chuck Berry’s 'Come On', their first single issued in June 1963, via the thrilling chart-toppers 'The Last Time', '(I Can’t Get No) Satisfaction', 'Get Off Of My Cloud', 'Jumpin’ Jack Flash' and 'Honky Tonk Women' and the perennial juke-box and concert favourites 'Brown Sugar', 'Tumbling Dice', 'Miss You' and 'Start Me Up', all the way to the present day with the inclusion of two new studio recordings recently completed by the group in Paris. It also contains a CD of the bands first demo session at IBC studios in March 1963. On Monday 11 March, Mick, Keith, Charlie, Brian, Bill and Ian Stewart – because at this point there were six members of the band – arrived at IBC Recording Studios in Portland Place, not far from BBC Broadcasting House in London’s West End, for their very first recording session together. The band had got to know 21-year-old Glyn Johns, an aspiring engineer and producer, and after a gig a few day’s earlier at the Red Lion Pub in Sutton, on the outskirts of London, the Stones agreed to the recording session. Studio A at IBC had a primitive two-track machine on which they recorded Bo Diddley's 'Road Runner' and 'Diddley Daddy'; Muddy Water's 'I Want To Be Loved' and Jimmy Reed's 'Baby What's Wrong'.With five minutes left of the three hour session they did one take of Jimmy Reed’s, 'Bright Lights, Big City'. 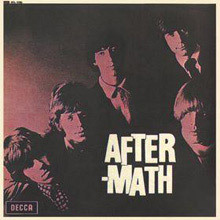 All the numbers they recorded featured in the Stones clubs shows, so they were very familiar with the material; although they often played longer versions when they did them live. The super de luxe set also includes a beautiful hard back book, tour posts and a facsimile of an early Ricky Tick Club poster. There's also a vinyl EP of the band's stereo radio broadcast from 1964 on Thursday 19 March , a few days after the Stones found out they were going on their first tour America in June. It was recorded at the Camden Theatre in London. The show itself was part of a series called Rhythm & Blues, but this was a very special experimental radio broadcast, one of the first, and was advertised in the newspapers as ‘Stereophony’ and broadcast at 9.30 in the morning of Saturday 9th May. The first half of the broadcast was given over to Georgie Fame and The Blue Flames – compered by singer, Long John Baldry he introduced the Stones as, “those charming deviationists.” They performed 'Route 66', 'Cops and Robbers', 'You Better Move On', and 'Mona' in front of an audience that had been imported from the Flamingo Jazz Club. A milestone in the recording career of the band in that Mick and Keith wrote every single track on this the band's 4th studio album to be released in Britain. It’s arguably the first ever ‘rock’ album. The credentials? At over eleven minutes, 'Going Home' was one of the longest track ever to have appeared on any pop album, the tracks were recorded at two three day marathon sessions at RCA in Hollywood in December 1965 and March 1966, its fourteen tracks ran for over 53 minutes – long by the standards of pop LPs – and most of all it ‘sounds’ like a rock album with a cohesion not associated with other long playing records from the era. Among the ‘classic’ songs are 'Mother’s Little Helper' – the a-side of the 12th U.S. single, and its b-side 'Lady Jane', 'Under my Thumb' and 'Out of Time'. Jack Nitzsche and Ian Stewart share the keyboard duties and Brian Jones plays a whole variety of instruments including an Appalachian dulcimer on 'Lady Jane'. It spent two months at No.1 and spent 28 weeks in total on the British album chart. 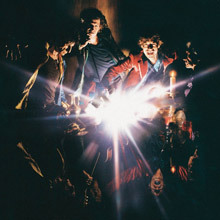 This was the second Stones album to be released with identical track listing in both the U.K. and North America as well as other countries around the world. It also came out on virtually the same day in both the the U.K. and the U.S. at the beginning of December, a year almost to the day after their previous album 'Their Satanic Majesties Request'; it had been the longest wait for a Stones album since the start of their career. This is the first Stones album to be produced by Jimmy Miller, who also produced Traffic and Spooky Tooth as well as co-writing 'I’m A Man' with Stevie Winwood. This is an album as different from its predecessor as is possible to be. 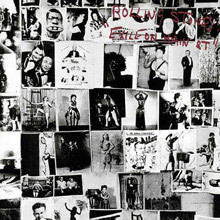 When it came out as a long playing record, on the start of each side are tracks that are fundamental to the history of the Rolling Stones – 'Sympathy For The Devil' and 'Street Fighting Man'. Released in time for Christmas 1969, this was the first studio album to be released following Brian Jones' departure from the band and subsequent death. It includes his replacement: 20 year-old guitarist Mick Taylor. 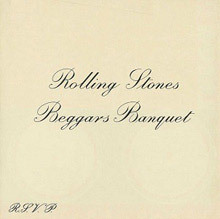 Like 'Beggars Banquet' the album was produced by Jimmy Miller and it’s also similar in that both sides of the LP open with two stone cold classics – 'Gimme Shelter', with Merry Clayton’s wonderful backing vocal, and 'Midnight Rambler'; songs that have been a part of Stones' live shows for the last four decades. In another similarity to the band’s previous studio album it also features a blues cover, this time 'Love in Vain', written by the King of the Delta Blues Singers, Robert Johnson. The last track on the record is the ambitious, and very different 'You Can’t Always Get What You Want' featuring the London Bach Choir arranged by Jack Nitzsche and Al Kooper, late of Blood Sweat &amp; Tears, on keyboards and French horn. And finally... the future queen of British TV cookery shows, Delia Smith, baked the cake on the front cover. It ultimately topped the U.K.album best seller list and spent a total of 39 weeks on the chart, and got to No.3 in America where it spent 44 weeks on the charts. Sister Morphine' is the oldest track on the album that opens with 'Brown Sugar' which had a simultaneous release as a single, and topped the American charts for two weeks but surprisingly it only made No.2 in the U.K.. 'Wild Horses' was another single in the U.S., but not Britain. Besides the music this album has the distinction of being the first to carry the famous tongue and lips – one of the world’s most iconic logos. The LP had a real zip that opened on its cover, an idea conceived by Andy Warhol. Whole books, television documentaries and hundreds of thousands of words in newspapers and magazines have been devoted to this album and its making, so to say anything new that has not been said before is difficult. There is, though, no doubt that this is a record that defines rock music, it is a benchmark by which others judge their success and their failure. In the mythology of rock it was recorded in the basement of Nellte, the villa that Keith rented in the South of France; the truth is that significant portions of it were recorded at Stargroves, Mick’s home in England as well as at Sunset Sound in Los Angeles. 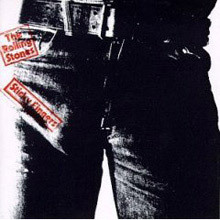 From 'Rocks Off', the opening track on side one of the first record through to the closing of side two, 'Soul Survivor', the Stones conjure up a rock tapestry that leaves nothing to the imagination, and yet it leaves everything. 'Tumbling Dice' – U.S. No.7 and U.K. No.5 - was the only real hit single from the album, although 'Happy', with Keith on lead vocals, made the Billboard Top 30. The album itself came out in May 1972 and topped the British and American album charts; in America it stayed at No.1 for a month and spent 43 weeks there in all. Released in the late summer of 1973 it was the third No.1 album in a row, on both sides of the Atlantic; it stayed at the top in America for a month and spent nine months on the chart. 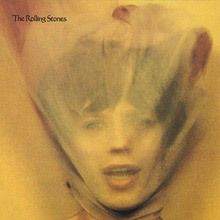 The album included another classic Stones ballad, 'Angie'. The track, inspired by David Bowie’s wife, was released as a single and it became their seventh No.1 record in America; strangely it only made No.5 in Britain, but it did make the top spot in France and Holland as well as No.2 in Germany. The most controversial track on the album was, without a doubt, 'Star Star', which caused Atlantic Records boss, Ahmet Ertegan, whose company distributed the album for Rolling Stones Records, to initially be concerned about the strong lyrics. Later he realised that the BBC and other radio stations across the world in banning the song just added to the publicity for the album. The early work on the album was done at Dynamic Sound in Jamaica with later sessions at Village Recorders in Los Angeles, Olympic and Island studios in London. Among the other musicians on the record are Bobby Keys and Jim Horn on saxes, Nicky Hopkins and Ian Stewart on piano, and Billy Preston on clavinet. After thirty years of releasing albums in America this was a first – the first Grammy award winner. 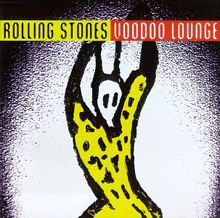 Released in July 1994, 'Voodoo Lounge' won the award in the Best Rock Album category; it became the first British No.1 since 1980’s 'Emotional Rescue', and was also the first album to feature Daryl Jones as the bass player. 'Love is Strong', the album’s opening track and lead-off single announced its strong intent. The album has Don Was as it’s co-producer and was recorded in late 1993 and early 1994; the 1993 sessions were at Windmill Lane studios in Dublin before the band crossed the Atlantic to record at A&M Studios in Los Angeles. 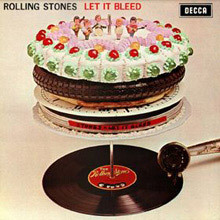 Among the standout tracks are 'Out of Tears' and 'Blinded by Rainbows' that could have come from any Stones album from the late 1960s and 1970s – it’s the Stones doing what the Stones do best. With the album finished the band began rehearsing for the tour named after the album – it was to be bigger than ever.